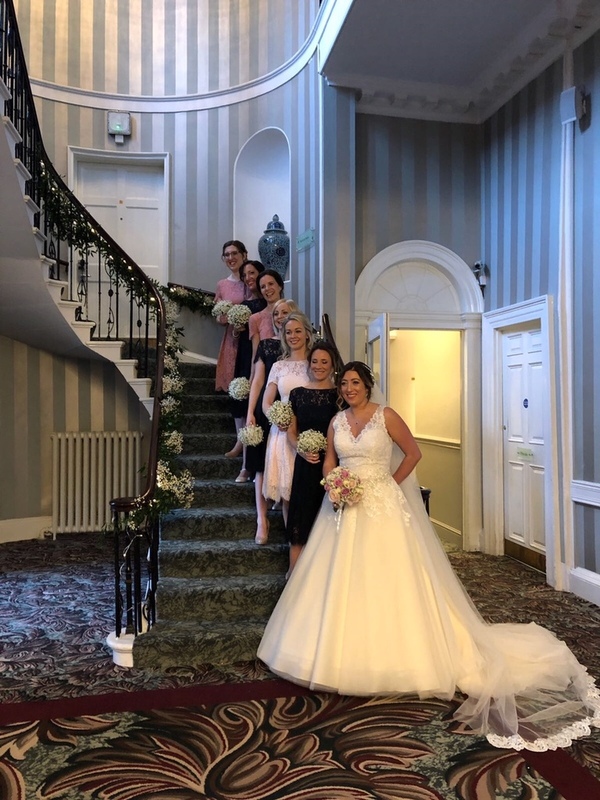 We love today’s real wedding –Natalie and Ceri’s smiles are infectious and we ADORE the blush pink wedding colour theme. There is nothing more beautiful than the union of two people in love. 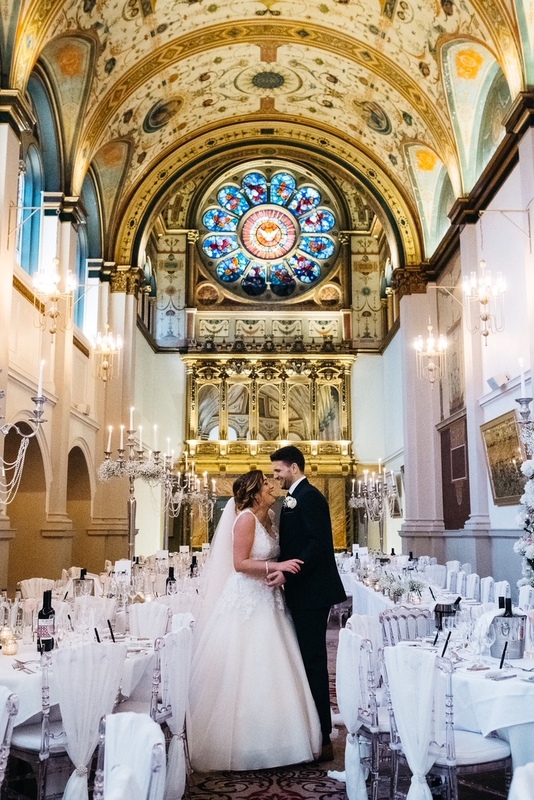 They picked De Vere Beaumont Estate in Old Windsor as the place where they would exchange their vows and celebrate their union with their loved ones. 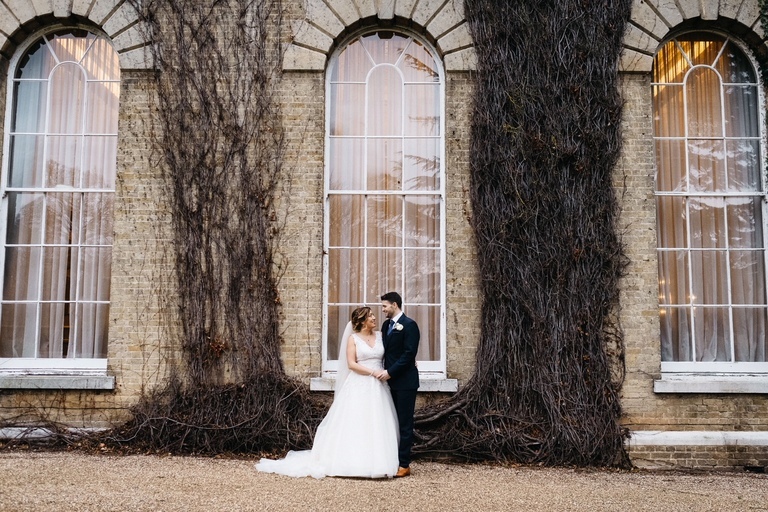 The venue is an 18th-century Georgian white house situated at the heart of Berkshire with state-of-the-art architecture and historical rooms in its interior. 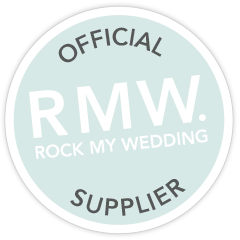 Having held their wedding in such a stunning venue, there's no need to go above and beyond when it comes to decoration. 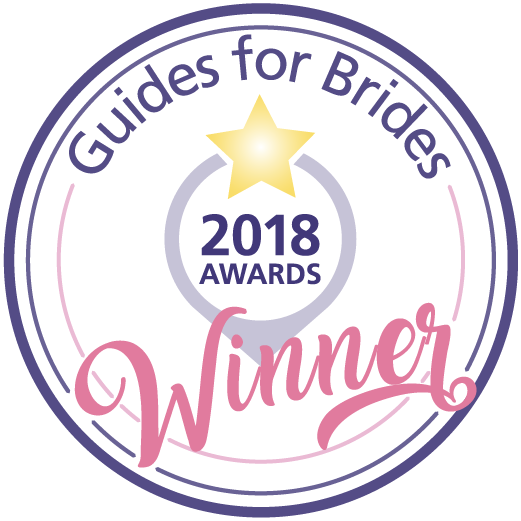 Natalie chose a gorgeous wedding dress designed by Diane Legrand. A fabulous A-line gown. This heavenly tulle ballgown skirt is overlaid with delicate lace. 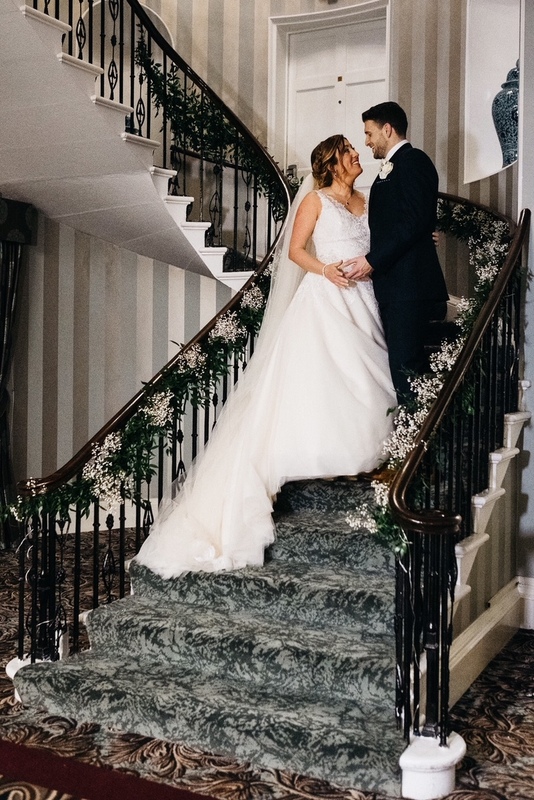 She looked gorgeous, and she felt it...'' Thank you for your help finding me the perfect dress. You guys were just great. 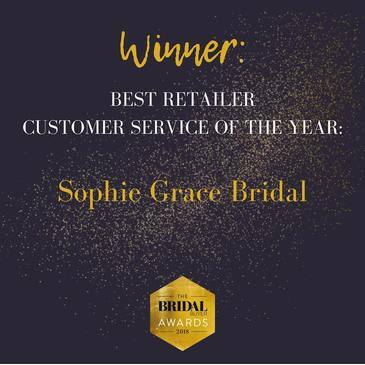 Wonderful service and very talented seamstresses. 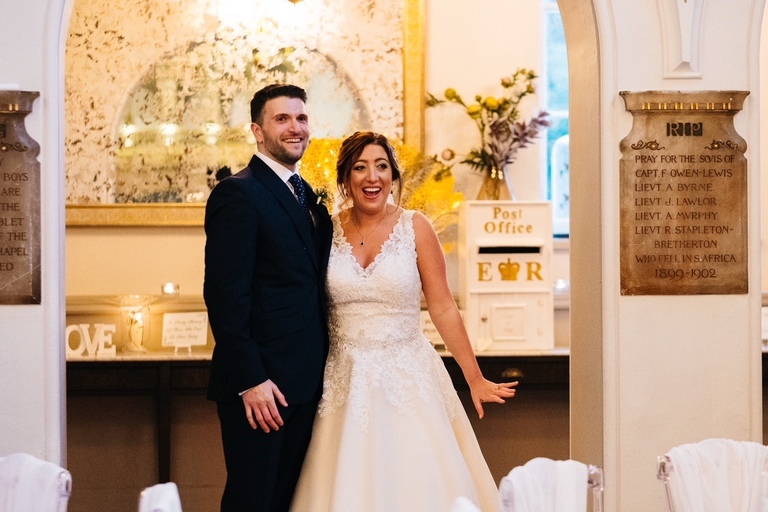 I was just delighted with my dress and it made my new husband Ceri cry! '' shared Natalie. For her bridesmaids, Natelie had them wore blush pink and black dresses. Ceri also wore a black suit, and had his groomsmen wore similar colored suit. The bride's wedding bouquet was a group of pink floral and greeneries. 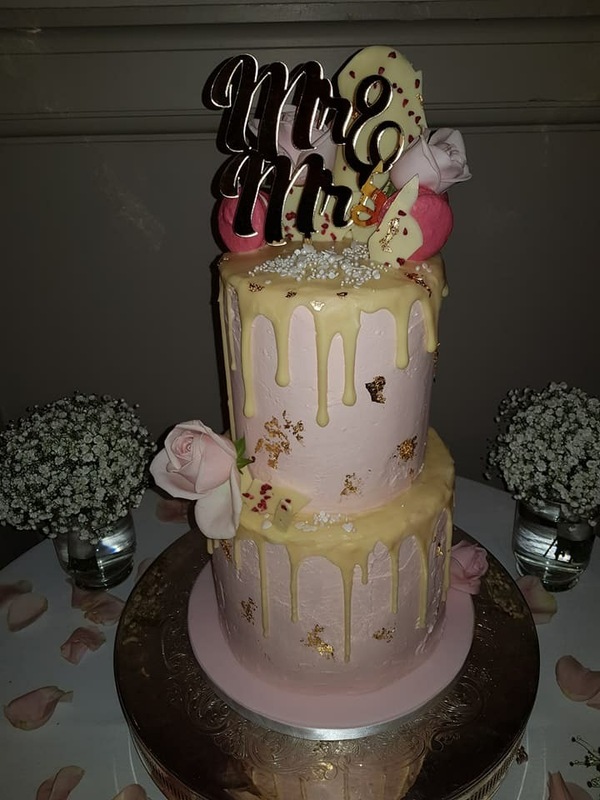 Their cake was a white chocolate ganache drip cake with macarons, berries, flowers and white chocolate wafers. 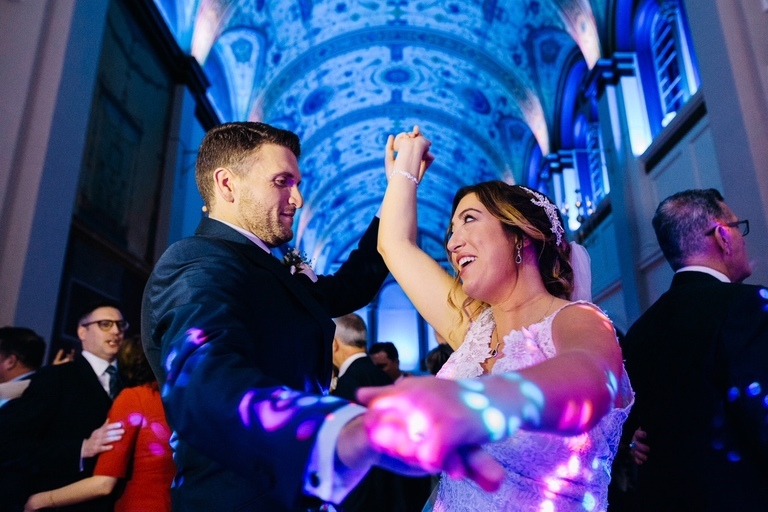 We could not be more in love with their wedding. 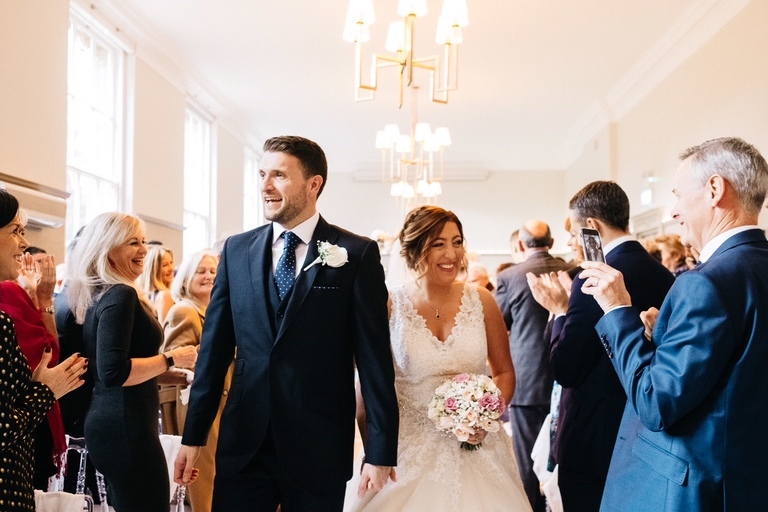 Everything came together perfectly and created a classy chic wedding for the happiest day of Natalie and Ceri's life. 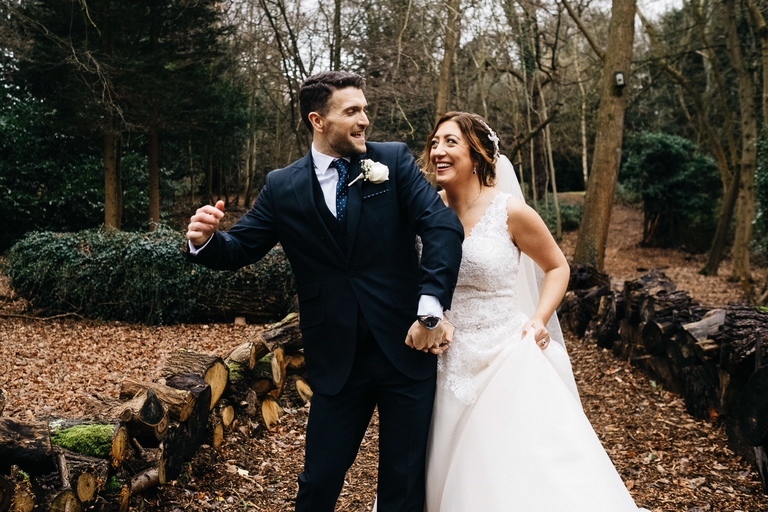 Take another look at photos of the wedding captured beautifully by Emily Louise Photography and don't forget to add ones you love to the inspiration board. Thank you so much for sharing your pictures with us and thank you Louise Emily Photography for these beautiful pictures.